"An outdoor market of local fine crafts. Featuring sculpture, glass, pottery, jewelry, wood and fiber arts in a beautiful setting. 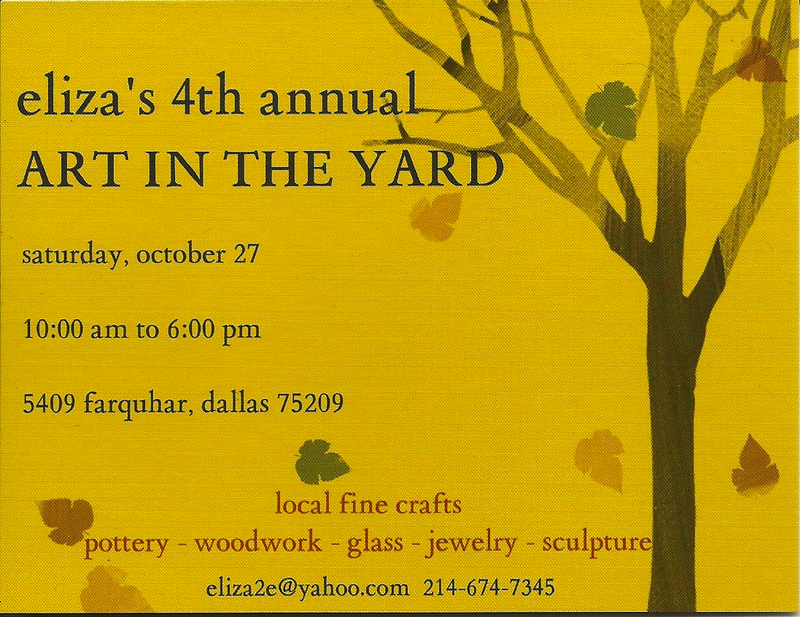 Enjoy a day in the yard surrounded by amazing art and fun, local artists! A free, family friendly event!" Three blocks south of Northwest Highway off of Inwood Road. Booths are 10 X 10 and cost $125. Booth can be set up the day before the show, excluding merchandise. Early morning set up day of show. Bagels and coffee provided during set up morning. 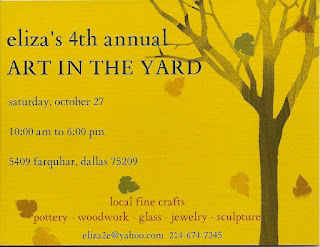 For more information, visit their website or contact their event coordinator, Eliza, at eliza2e@yahoo.com / 214-674-7345.